This new phone would supposedly have a 4-inch screen — the same size as the now two-generations old iPhone 5S — yet come with internal components similar to an iPhone 6 of last year. That would be a huge change for Apple, especially given that just four months ago, the company refreshed the iPhone lineup) by releasing the iPhone 6S and iPhone 6S Plus. These new iPhones, coming in at 4.7 and 5.5-inch screens respectively, saw new features) like 3D Touch, a faster fingerprint sensor and the ability to capture “Live Photos” (GIF-like moving images) in the camera app. The smaller 4-inch option saw no such update, and those who prefer a smaller device were forced to go with an iPhone 5S or even earlier models. 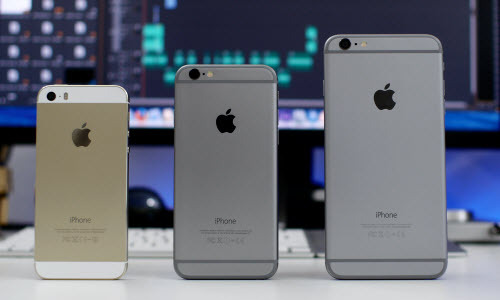 But, all that could change soon, at least according to rumors and supposed leaks of the iPhone 5SE’s specs. According to 9to5Mac, iOS users who rather own smaller-sized screens are about to see a substantial update to their favorite phone. Innards of the updates 5s device would include an A8 processor for powering the device, and M8 for tracking fitness and NFC for proper Apple Pay support. The iPhone 5SE is also expected to come with an 8-megapixel camera on the rear and 1.2 megapixel on the front with Live Photos. The tech specs are highly similar to that of the iPhone 6 released back in 2014. On the outside, a curved design reminiscent of the iPhone 6 and 6S would come to the smaller device and colors would include the similar space gray, silver, gold, and rose gold. Images of the upcoming device leaked thanks to Apple site One More Thing. While it’s unclear how the blog got their hands on the device, the photo clearly shows a 6-like prototype that’s the size of the boxy iPhone 5. We can’t be sure that the phone in this photo is an official Apple prototype, but it does line up with 9to5’s info on the matter. No word has yet been divulged about pricing, but it’s safe to assume we can expect a similar admission fee to the current lower-end iPhone 5S, at $450 with no contract, or $0 with a 2-year contract. A March release date for the iPhone 5SE would be one of the first times the company has brought users a new mobile product outside of the standard fall launch window. For many, once a year updates to the iPhone is already too often. And Cupertino pushed its luck with buyers back in 2007, when they dropped the price of the first iPhone by $200 only after a few months of it being on store shelves. Unknowing 4-inch fans who want new features like Force Touch or Live Photos may share a similar sentiment as 2007’s early adopters. But with nothing set in stone, the company could simply announce the device and wait later in the year to unleash it on the public. We’ll know more as we grow closer to the rumored March 2016 Apple event. How to Merge SMS from iPhone 5 to iPhone 6? How Do I Retrieve Pictures From iCloud To iPhone 5S? This entry was posted in Apple, iPhone, News and tagged apple, ios, iPhone, iphone 5s, iphone 5se, news by IosdroneD. Bookmark the permalink.